Honoka squinted through the settling dust, trying to see where her Pokemon went as well. If he was ok. Her companion was obviously worried about his Swablu too, and the thing sure took its time letting him know it was ok. She heard the flutter of wings above, and watched as his Swablu-turned-Altaria decided to smother him. She laughed a little at that; she knew all too well that experience with her own Sltaria. Her Volcarona came down moments later, it large wings stirring the still settling dust again, making his trainer cough a little. "Really, Hak? Try blowing it away instead." She grinned at the Pokemon all the same, and it fluttered near her, making sure she was ok. She reached out a hand to pet the soft fuzz on its abdomen reassuringly. "Yeah, I'm ok. Glad you are, too, Hak. Good job getting out of there in time." She turned to her compatriot a little in surprise when he offered his hand, but grinned at him after a moment. "Thanks. I can't honestly say I was expecting either of them to explode, let alone both. It was a bit of a surprise." She let him help her up, and dusted herself off once she was up again. "You're a tad larger than me, I'm not surprised you managed to stay upright there." She turned to the fallen Minior, and pulled out a Pokeball. "If they can do that much damage though, it might not be too bad to have one like that in the arsenal." She tossed the Pokeball at one of the Miniors, the one she had been fighting, in hopes of catching a third. These were just too hard to resist. 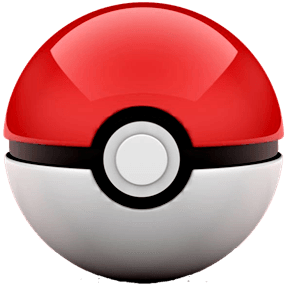 1 Pokéball has been removed from your inventory. Are You My Mommy? appeared!